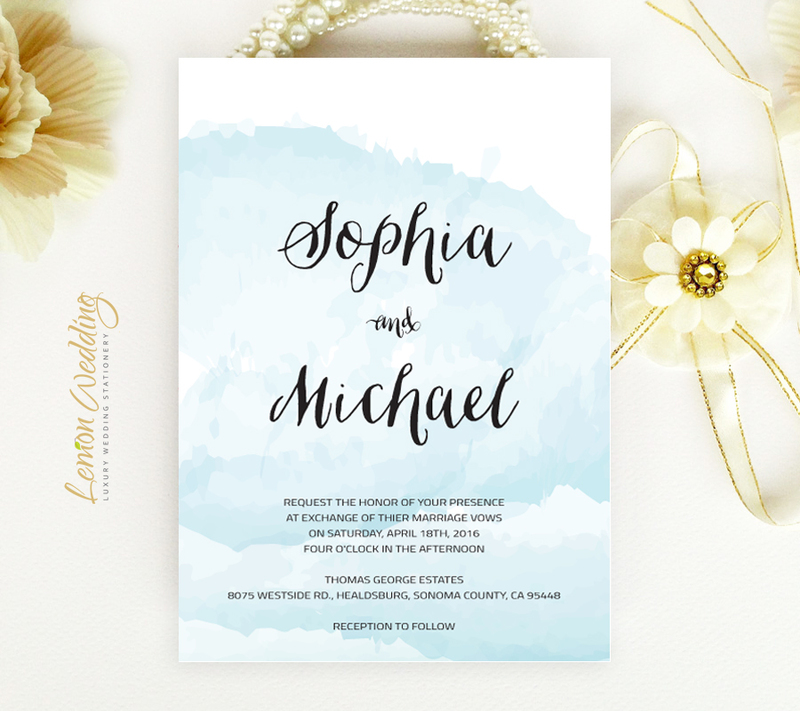 Finally announce your wedding date to friends and family with our artistic Blue Watercolor Wedding Invitations. 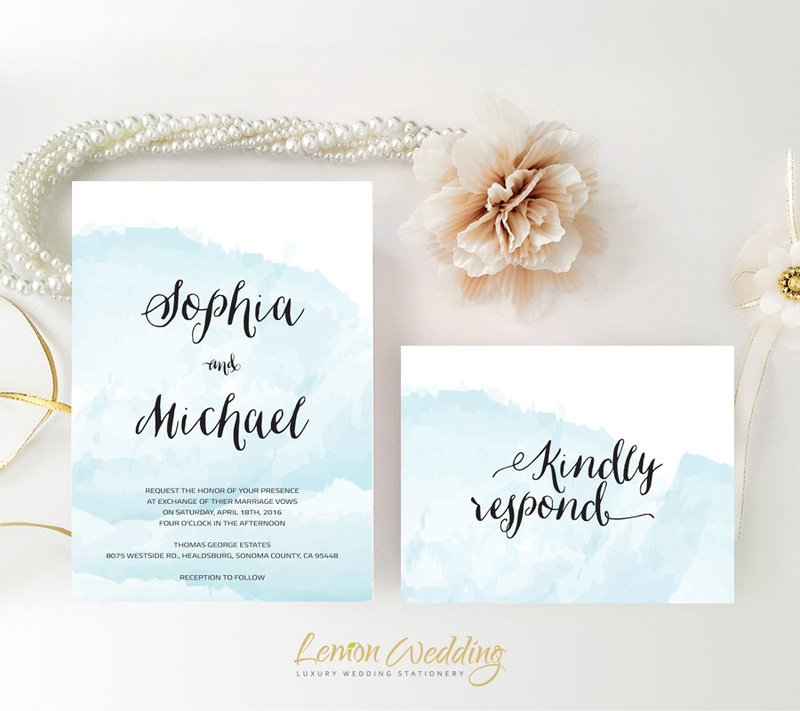 Our dreamlike invitation sets will let your guests know all your details surrounding your wedding. 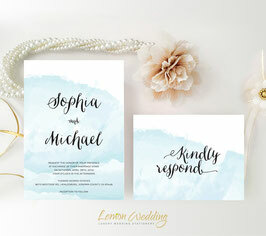 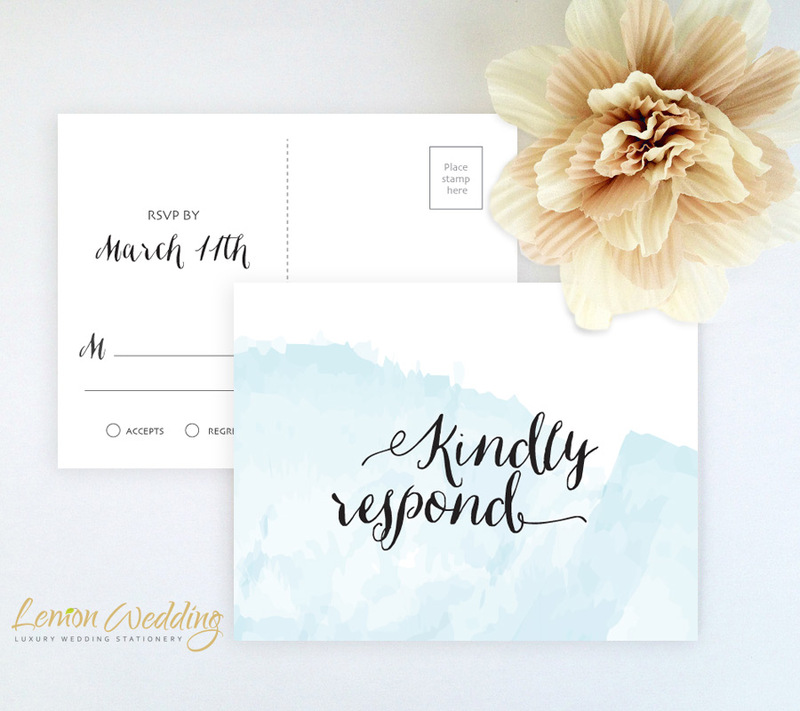 The set features wedding invites and RSVP cards finished with calm blue watercolors and poetic calligraphy.